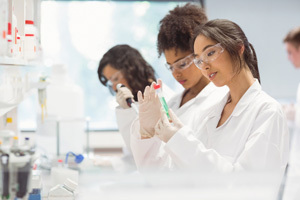 Flipping a science course, by having students watch videos first to learn basic concepts and step-by-step procedures for doing lab work, can improve the outcomes. That's the finding of an experiment run at DeSales and Clemson Universities in a research project sponsored by a journal publisher that produces such videos. The project was undertaken by TERC, a nonprofit STEM education research and development organization, on behalf of the Journal of Visualized Experiments (JoVE). The study, Effectiveness of JoVE Videos in Improving STEM Students' Performance," is available on the JoVE site.